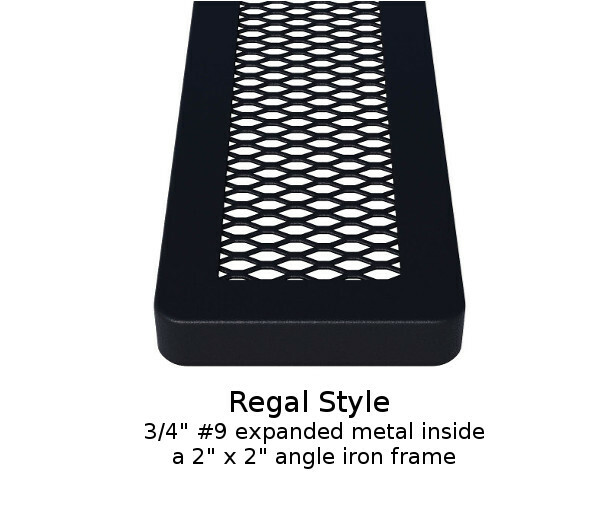 This 6 foot bench features a contoured back and seat are made with durable plastic coated 3/4" expanded metal with a larger diamond design in the middle for added style. 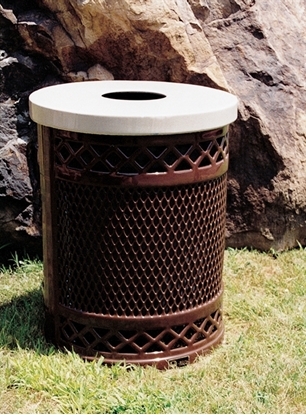 Features plastic coating known as thermoplastic for durability and long life. 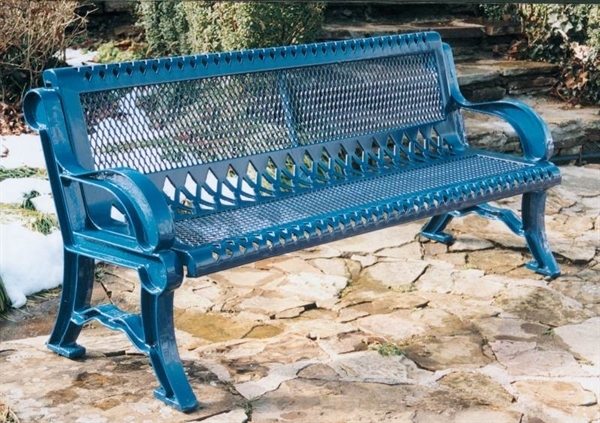 The heavy duty cast aluminum frame gives your bench strength and comfort. 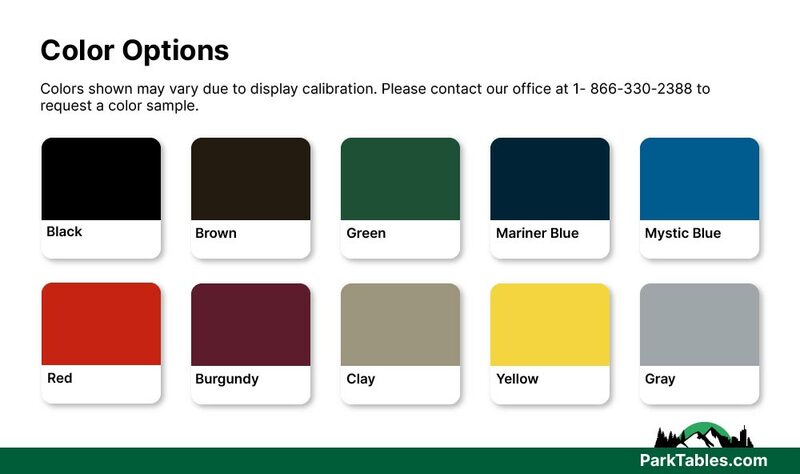 Available in Portable or Surface Mount for convenience and resistance to vandalism. 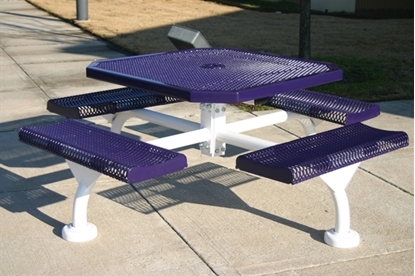 Octagonal Thermoplastic Steel Picnic Table, Rolled Regal Style Seats 8 Adults, 276 lbs.